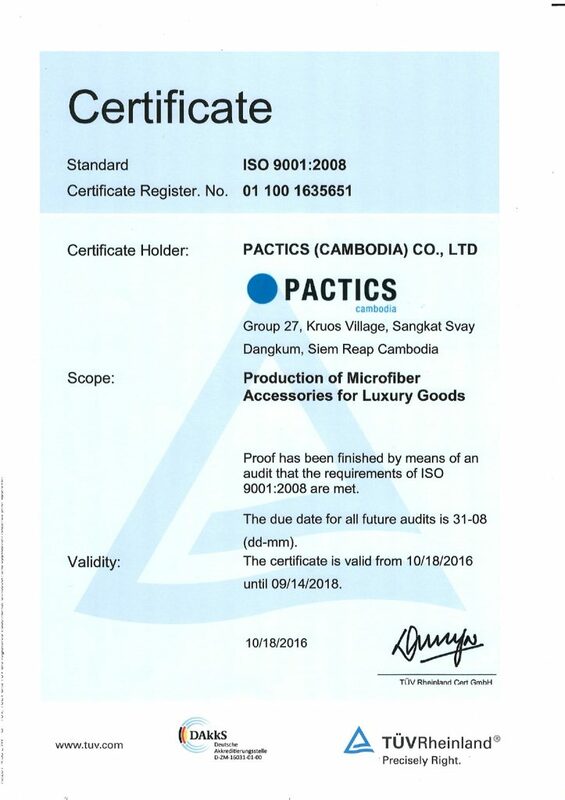 We are very proud to announce that Pactics Cambodia in Siem Reap has obtained ISO-9001 certification today, 31 August 2016. Pactics creates high-quality accessories to support the world’s leading lifestyle brands. We offer competitively priced, high-quality products in an environmentally and socially responsible way.